This Premier Range peak is named for Stanley Baldwin (1867-1947), who was prime minister of Great Britian for six months in 1923, again from 1924 until 1929, and again from 1935 until 1937. Until in he was in his forties, Baldwin was employed in his father’s businesses, including railways, iron and steel manufacturing, and coal mining. 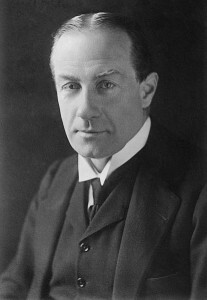 When the elder Baldwin died in 1908, Stanley succeeded to his father’s parliamentary seat.